The vast majority of cells in the body are not supposed to move around. Cells that make up the skin, the inside of the blood vessels and most of our organs are securely tethered in place to make sure no deadly gaps form. Even cells that do move, like those in the muscles, tend to move as a group in order to generate movement for the whole body (such as walking, stretching or pumping blood throughout the whole organism). Interestingly, in the womb things are rather different. Single cells move individually around the embryo to position themselves in the right location that will allow them to form new organs an tissues. A classic examples of how cells in the embryo move by themselves is melanocytes, which are the cells that give our skin its pigmentation. During the development of the human embryo, a small group of cells comes off the back of what is known as the neural tube , which will one day be the spine. These cells move individually, shooting individual trajectories to end up all over the embryo. As the skin begins to form, they start moving up into its layers. Eventually, they stop moving and form solid connections with the skin cells that surround them. Some cells in the adult body, however, keep on moving. Immune cells, for instance, are constantly on the prowl throughout tissues and organs looking for pathogens and signs of infection. Cells in the bone are constantly remodelling it by producing and eating away at the bone core substance. 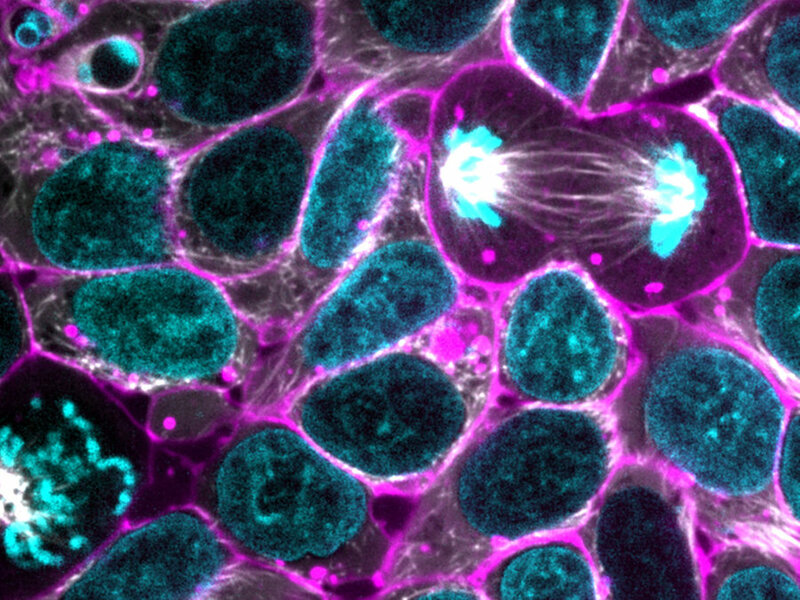 When a cancer begins to grow and develop, cells within it go back to their original ability to move around by themselves. This is easier said than done. First of all, cancer cells need to lose the tight molecular staples that keep them fastened to other neighboring cells. These are known as cell-cell junctions and they are made up of individual molecules crossing the cell membrane and anchoring it tightly to the junction on the other side – which is in turn attached to the next cell over. They are built to resist all kinds of stress and attacks from pathogens and disease. What cancer cells need to do is therefore to accumulate enough genetic mutations in the right spots to completely disrupt the functioning of these molecular staples and set them free. Having achieved this, cancer cells need to learn how to move again, the same way patients undergoing physiotherapy after an accident need to learn how to walk again. Cell motility is an entire field in its own right, and a fascinating one at that. Cells rely on a complex system of internal molecular pulleys and stilts – known s the cytoskeleton, literally the skeleton of the cell – to move about. The cytoskeleton itself needs thousands of different proteins to work together in order for it to function correctly, much like our regular skeleton needs hundreds of small bones, tendons and ligaments to work. What cancer cells do is accumulate mutations that hyper-activate the cytoskeleton, allowing for cells to move quickly away from the tumor. A very promising way scientists are looking at the problem of cancer is trying to paralyze cancer cells that are migrating away from the tumor. 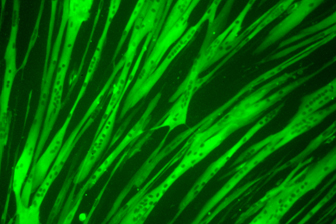 We are using a series of drugs that stops different parts of the molecular machinery that makes up the cytoskeleton, therefore preventing cancer cells from moving away from the tumor. This in turn means they cannot spread away through the body and they can be easily targeted with surgery, radiotherapy and ultimately by the body’s own immune system.